Would you believe it if we told you the number of fat cells in your body hasn’t changed since you were a teenager? Although your lifestyle may have become more sedentary, and maybe your weight has increased, the number of fat cells you have remains constant for your entire life. Fat cells are light balloons. They grow and shrink, depending on how much fat needs to be stored. Losing weight makes those fat cells smaller, and gaining weight makes them bigger — but neither fluctuation can make them go away completely. It’s important for everyone to have fat cells because they store energy and vitamins. These cells also help create hormones that transmit messages throughout your body. However, having a body fat percentage of more than 25% for men and 30% for women can quickly become dangerous and unhealthy. Each area of your body has a different amount of fat cells. We are built this way to maximize our mobility – more fat cells around the waist and less around the head or toes. When you lose weight, you are causing those fat cells to shrink as your body consumes the stored fat for energy. However, not all the fat cells will shrink proportionally to the amount of weight you lose. Or in other words, your weight loss is not eventually distributed across your body. Some areas will shrink more and faster than other areas; and each person is different. Areas such as the abdomen, love handles, and back are where your body likes to store fat and they are quite resistant to diet and exercise. Those stubborn areas of fat deposits remain visible as lumps and rolls. You can continue to lose weight, and those areas would still stick out. SculpSure is a way of getting rid of those fat cells so they won’t be visible in those problem areas. Although it doesn’t help you lose weight, SculpSure actually eliminates fat cells in the treatment areas. By reducing the number of fat cells in your saddlebags, for example, you’ll shrink the size of your thighs. Even though losing weight naturally shrinks your fat cells, it doesn’t shrink the fat cells evenly across your body, and thus create these lumps and bulges where you least want them. The SculpSure procedure removes 20 to 25 percent of fat cells in the treatment area by killing them with a laser. After SculpSure, the size of your fat cells will decrease over time until they are gone for good — this is because the procedure kills the fat cells in the targeted areas with heat. Then, your lymphatic system flushes the dead cells out of your body, just like it does with any other form of waste. The gradual process of flushing the dead cells takes about three months, which is why the results of SculpSure are most visible after that period passes. When you lose weight without going through a sculpting procedure like SculpSure, you might find certain parts of your body are still a bit larger or looser than you’d prefer. That’s because you still have the fat cells — they just shrank. 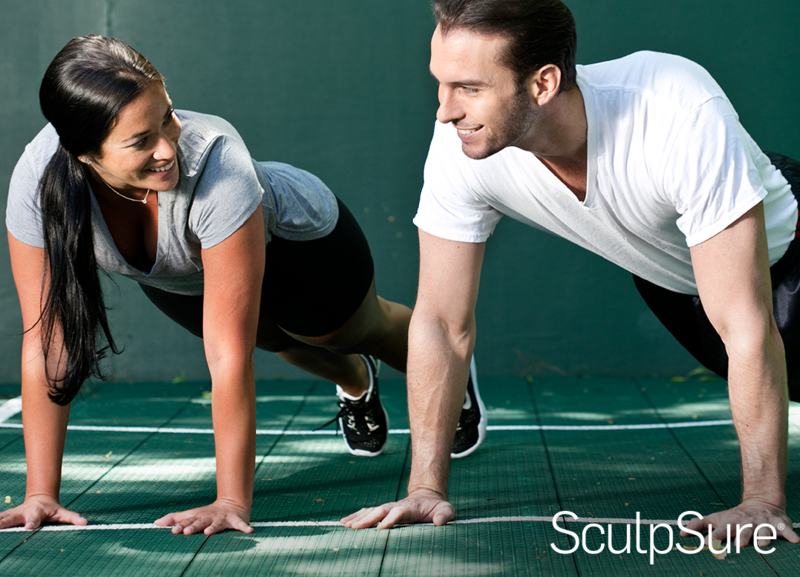 When you pair weight loss with SculpSure, you’re killing those fat cells, which will give your body a smoother, healthier look. If you’re nearing your target weight but still aren’t satisfied with the way your body looks, sculpting those problem areas could help you achieve your ideal contour. Schedule a free consultation at Healthy Living Primary Care to learn more about how SculpSure body sculpting works and decide if it’s the right choice for you.